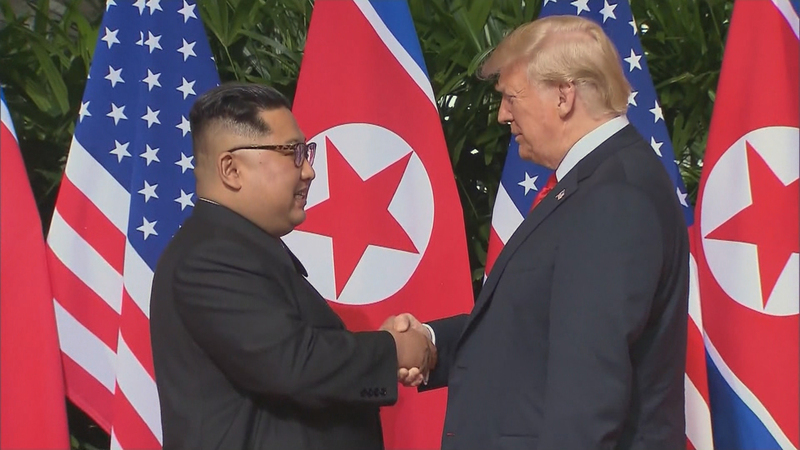 After a whirlwind summit with North Korean dictator Kim Jong Un that lasted a little under five hours, President Donald Trump is already bringing change to the Korean Peninsula. But catching both the South Korean government and apparently the Pentagon by surprise, Trump also announced that he was cancelling joint military exercises conducted annually by the United States and South Korea. The two leaders also pledged to build a better relationship and Kim reaffirmed a commitment to work toward the complete denuclearization of the peninsula – but there were few specifics on how that would be verified. South Korean Consul General to Chicago Jong-kook Lee said that his government wants to get more information about the remarks made by Trump. Katrin Katz is a Korea expert at the Center for Strategic and International Studies and was director for Japan, Korea and oceanic affairs on the National Security Council under President George W. Bush. She also questioned whether Kim is truly committed to giving up his nuclear arsenal, noting that North Korea has broken similar commitments in the past. “Whether or not complete, verifiable and irreversible denuclearization is achievable is an important question, I think I’m in good company with many analysts in being skeptical of that,” Katz said. Lee agrees that China would like to see North Korea denuclearize. Lee and Katz join Paris Schutz to discuss the latest developments in U.S.-North Korea relations.